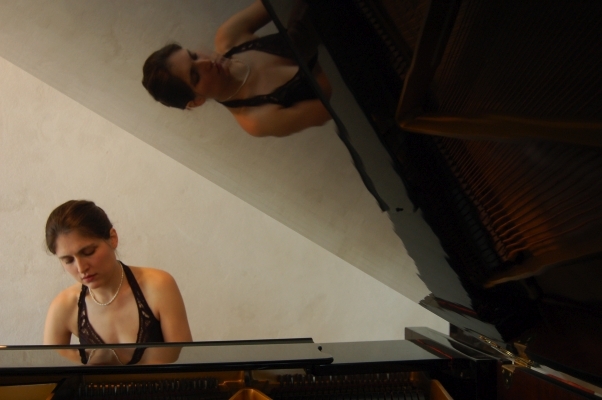 Welcome to this site dedicated to gifted pianist Anait Karpova. Young virtuoso Anait Karpova was born into a long line of artists and musicians. Rachmaninov, Prokofiev, Stravinski, Einstein and Stanislavski are a few of the names that the family frequented and with which they worked. Her great-grandmother Nathalia Sats, considered the doyenne of professional childrens’ theater, prodded Prokofiev to write Peter and the Wolf for her childrens’ theater in Moscow. This family history had a strong influence and motivation for Anait in her musical career. On this site, you can find out about Anait Karpova’s plans and projects, listen to her playing, and maybe even buy one of her cd’s!